Great photos can really make a website pop. They catch the eye, yes, but can also help you get your point across. If you’re building a site, you could learn how to take good photos, but sometimes that’s not an option. Happily, there are all sorts of sites out there full of free images you can use for any purpose: commercial or otherwise. Photos on these sites are usually contributed by volunteer photographers looking to get their name out there, or simply looking to contribute something useful to the world. Using these sites help make building beautiful websites a lot easier, so here’s a few we think are worth checking out. 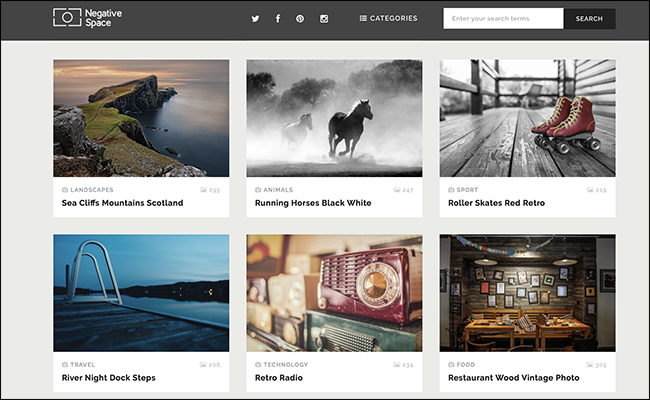 Unsplash offers over 200,000 beautiful photos that you can use for whatever you want. The search functionality works quite well in our experience, and you also can browse by category. The images themselves range from landscapes to portraits of people and animals. There’s not a lot of filler on this site: most of the photos are really high quality. 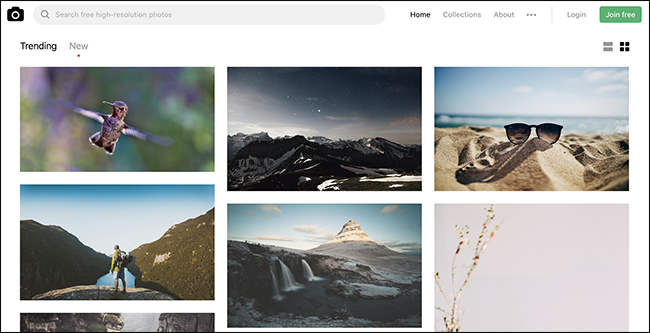 Unsplash’s license is quite permissive, allowing you to use the photos for any purpose you want other than creating a competing stock photo service. You don’t even need to attribute the photographers, though doing so is always appreciated. Create an account to upload your own photos, or curate your own collection of photos already on the site. You can even follow photographers you like on the service. 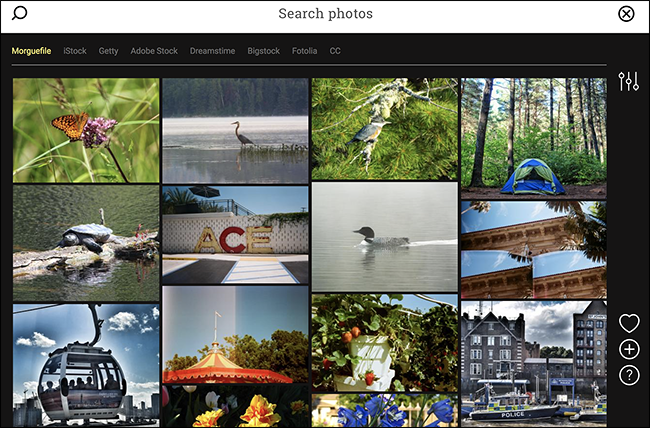 At first glance, Kaboom Pics seems pretty similar to other sites, offering a wide range of searchable images that you can browse by category. But they provide one standout feature: a focus on color. If you want photos that fit your project’s palette, Kaboom lets you browse by color. 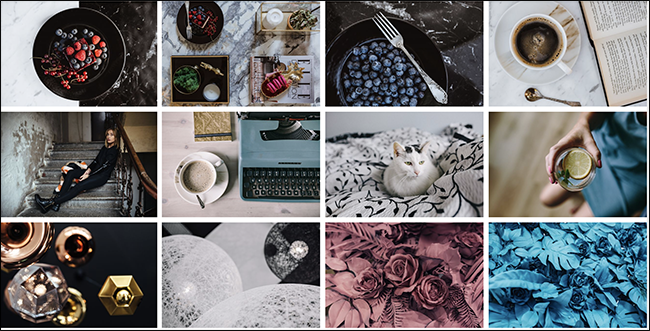 And this focus on color goes both ways: every photo offers a color palette, allowing you to match your design to the photo if you like. Kaboom also lets you see the entirety of a particular photo shoot, so if an image you find isn’t quite perfect, you might find a similar one from another angle. Images are free to use for personal or commercial usage, including blogs and social media. Redistributing or selling photos isn’t allowed without permission. With over 350,000 completely free to use photos, Morguefile is another solid option. Just be aware: you’ll sometimes see links to iStock and other paid image sites when your searches don’t yeild results. Still, Morguefile has lots of images that are free for commercial usage and remixing, though you cannot sell or redistribute the images exactly as they are without alteration. So, don’t use this site to build your own photo repository. Pixabay offers over one million images—all free to use on your website—and, unlike other services, makes free videos available as well. The site boasts a pretty good search engine, and also offers Android and iOS apps, which is nice if you’re a mobile-first kind of person. All images on Pixabay have the CC0 License, meaning you can copy, modify, and distribute them without permission. But Pixabay does place a few of their own caveats on top of this license. You can’t sell or redistribute the contents on a competing service without permission, and you can’t use “any content from Pixabay for pornographic, unlawful, defamatory, or immoral purposes” without permission. Stocksnap adds hundreds of new photos every week, all free from copyright restrictions. Photographers are only allowed to submit five photos at a time, the idea being that everyone only uploads their best work. The result is a neatly curated selection of photos. Negative Space is another collection of high-resolution images you can use however you like, thanks to the CC0 license. Search for images or browse the collection by category—you’ll find plenty to choose from. The site is cluttered with ads for and links to Adobe’s stock images service, but that’s only a minor complaint about a pretty good collection of free to use photos. 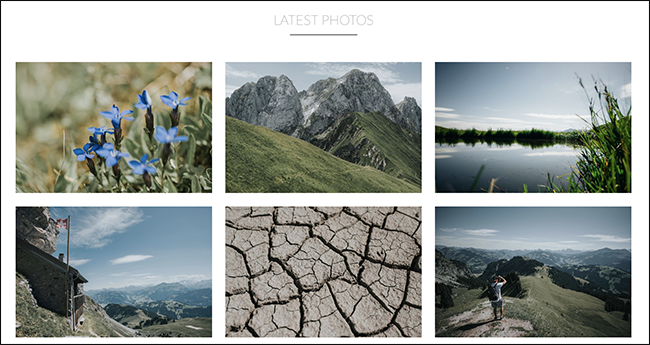 With a beautiful layout and a variety of categories, Shot Stash is well worth bookmarking if you want more options for photos. The collection isn’t massive, but everything looks great and is categorized in a way that’s easy to browse. As with other sites listed here, attribution, while not required, is appreciated.